The ISS is an ideal platform for the CREAM quest to investigate the low fluxes of high-energy cosmic rays through 1015 eV total energy. Externally mounted to the ISS at the Japanese Experiment Modules Exposed Facility (JEM-EF) KIBO, the ISS-CREAM experiment will be able to explore the supernova acceleration limit of cosmic rays, the relativistic gas of protons, and electrons and heavy nuclei arriving at Earth from outside the solar system over a period of years. The ISS-CREAM Mission presents many challenges to the development team. Originally developed as a long duration balloon experiment, the 1,200 kg estimated mass of the payload is over twice the mass of any previously launched payload using the JAXA’s HTV. The development team will modify the existing instruments to meet the new requirements of the launch vehicle and ISS. The ISS-CREAM mission is being managed by NASA’s Wallops Flight Facility. The science investigation is a collaboration led by the University of Maryland and includes universities and organizations in Korea, France and Mexico. 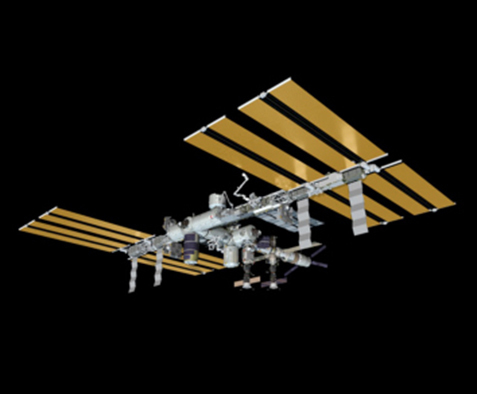 The SSRC team will provide technical, programmatic, and operational support for the ISS-CREAM development. The SSRC team has extensive experience working with the JAXA team members on both the launch vehicle (HII-B) and the JEM-EF. SSRC was selected based on core competencies and prior working relationships. Proven experience and pre-existing relationships make SSRC uniquely qualified to support the needs of the ISS-CREAM Mission. Previous PostSSRC moves into implementation phase for new solar mission.